Every once in a while, we’ll spot something really sick in the parking lot, and this Slammed BMW F32 435i is just such an example. 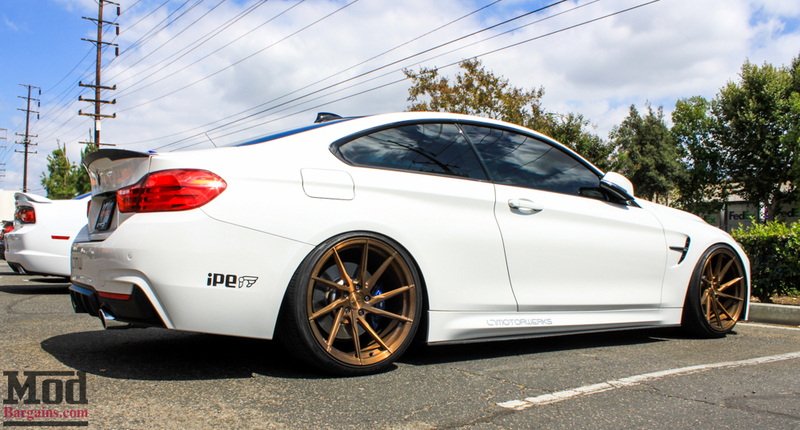 Rocking a set of slick bronze twisted concave STANCE wheels for BMW F32, this car redefined my idea of how low you can take a static drop F32 on the street. The F32 suspension has been upgraded with a set of coilovers to give it this kind of aggressive drop, combined with a stretched tire fitment and aggressively rolled fenders. Unfortunately we weren’t able to work out what, but as far as we know, this car’s NOT on air. At the rear of the car, you can see the Carbon Fiber Performance Style Rear Diffuser for BMW F32 and a set of Carbon Fiber Side Skirt Extensions for BMW F32 to give the 435i Exterior a look as aggressive as its drop. Here’s a look at the side profile to give you a better idea of the drop, and you can see the Carbon Fiber Performance Style Trunk Spoiler for BMW F32 giving the edge of the rear decklid the slightest ducktail turnup. 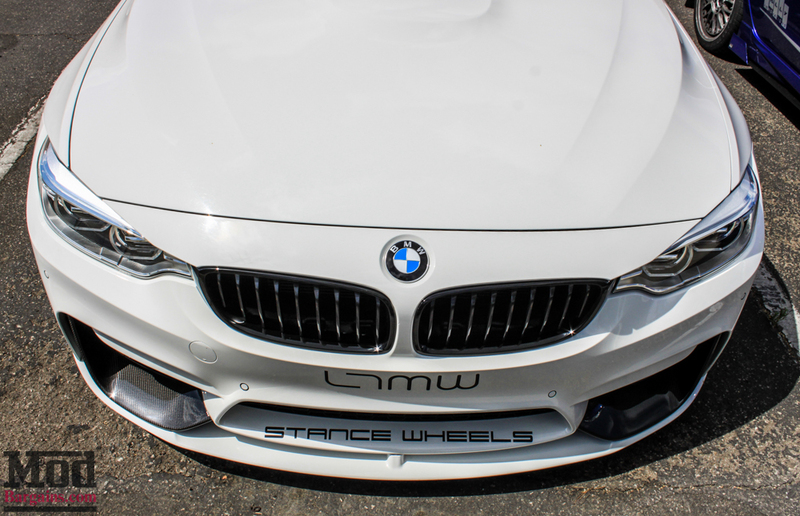 Up front, the car sports a Performance Style Front Lip for BMW F32, painted to match and accented with a set of Carbon Fiber Front Side Splitters for BMW F32. Contributing to the car’s clean look are details you might not otherwise have noticed, like a set of Painted Front Reflectors for BMW F32, which omit the nasty orange blobs that come on all USA market BMWs – and gloss black details like the Gloss Black Kidney Grilles for BMW F32 and the Gloss Black F32 Fender Trim Pieces really completes the look. Here’s a look at the F32’s nose from the top down. 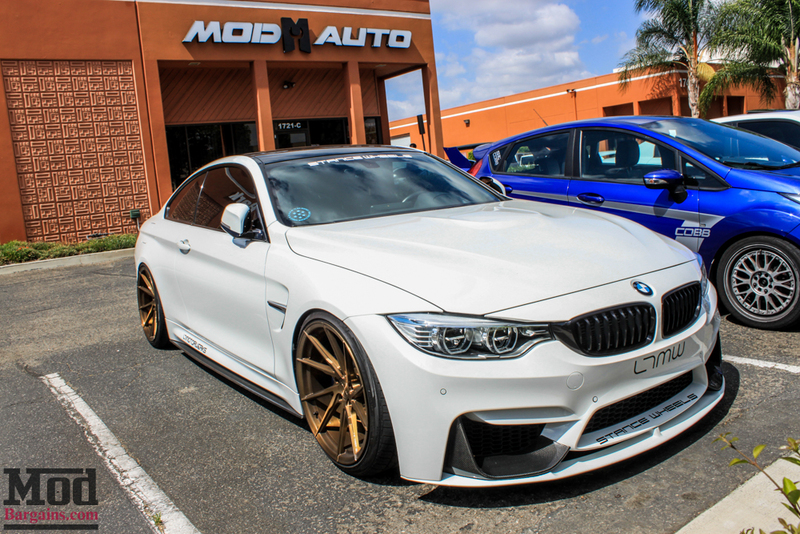 We really enjoyed the look of this BMW F32 – if you’d like to know how to get started modding your F32 to look like this, check out our guide to the Best Mods for the BMW F32 4-Series here. Interested in changing up the look and performance of your BMW F32 4-Series? Ask the Mod Experts what exterior upgrades are available for your car to change the style of your ride. Call us at 714-582-3330 for expert mod advice and schedule your installation at the Mod Auto shop today. Is this a 435i or M4? 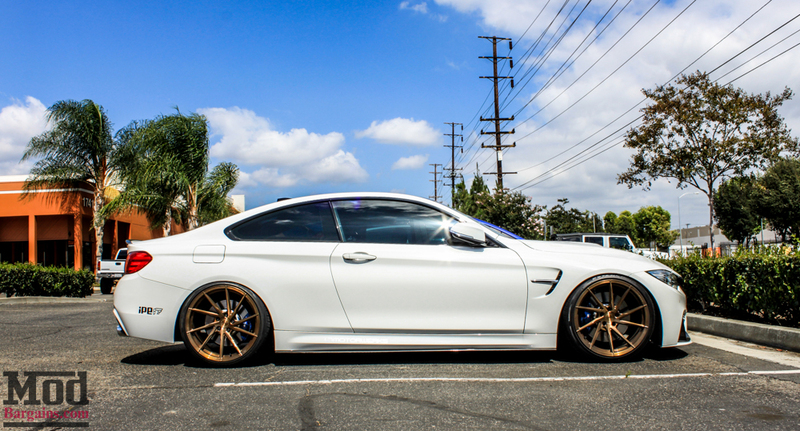 The front fenders are from an M4? do they bolt on directly?